Updated Tuesday April 10, 2018 by Jamie Wagner. Children born in years 2000-2011 are eligible to participate in Rye Brook Youth Soccer’s Travel Program. Please read this entire page before you complete the online registration. Registration is a 2-step process. The first step is the online registration which includes uploading a new picture. In light of the fact that the WYSL is going to digital player and coach passes in the fall, it is imperative that you submit a clear, identifiable headshot meaning a close-up of the neck to the top of the head. Please make sure to add all email addresses to your account that you want to receive the club notifications. The club’s email distribution list is generated from this system. The second step involves completing all forms. Both steps MUST be completed by the end of the registration process or your registration will be deemed incomplete. 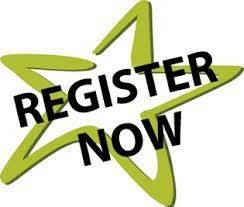 You must register your child online to reserve a potential spot for the season. Coaches are also required to register each season. All new and returning players and coaches must upload a new close-up headshot from the neck to the top of the head into their sportssignup account. Throughout the registration period the website will be updated frequently listing the number of players that have registered for each age group. Click here to download the Medical Release Form. Complete the form including insurance information. We do NOT need copies of your insurance cards and this does NOT need to be notarized. All players, new and returning, must complete this form each year. New players must also supply a copy of the child’s birth certificate or passport. Returning players should return all of the above paperwork to their team’s manager. New players should bring all of their paperwork to Jamie Wagner at 16 Magnolia Drive and put it in the soccer box on front porch or email your documents to her at adjamwags@msn.com. Please do not include your uniform orders with this registration material. All paperwork and photo uploads are due no later than midnight May 10th . Team managers please bring all collected forms to Jamie Wagner at 16 Magnolia Drive. Players must wear certified RBYS uniforms. Visit our uniform page for more information. General program overview for new and returning families. Visit our Annual Meeting page for date and more information.